Şehzadebaşı, a masterpiece built during the golden age of Ottoman wealth and power by renowned court architect Mimar Sinan. 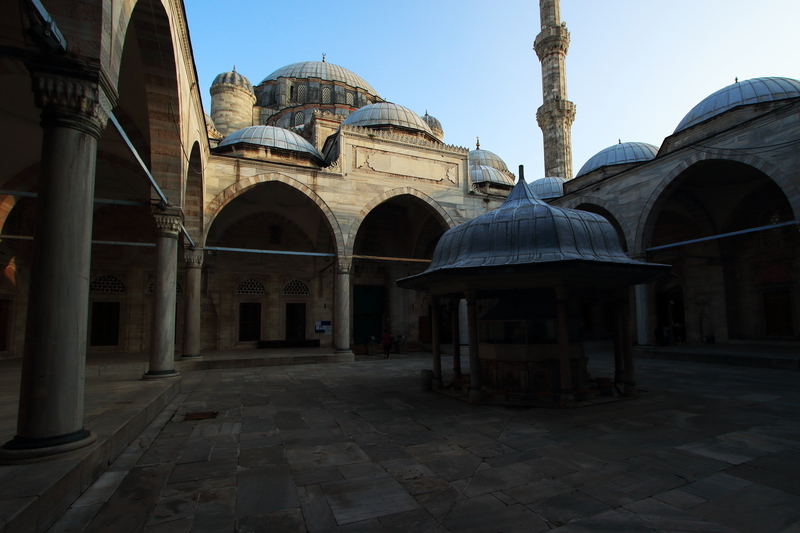 Designed on an otherwise standard plan it is a prime example of the Ottoman mosque perfected. Şehzadebaşı was built in the mid 1500’s for Sultan Suleyman the Magnificent; later named after his favourite son and heir upon the death of said son. 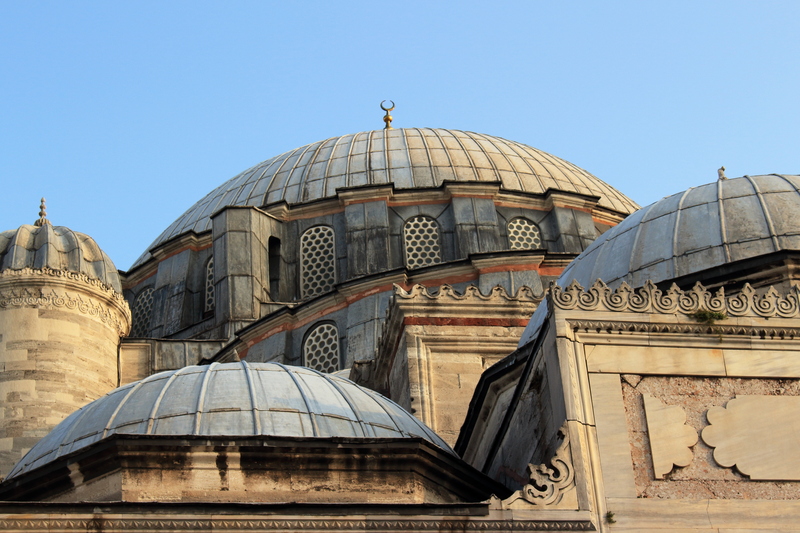 While the overall blueprint of the building does not differ vastly from what had been the standard for some time, scale, ornamentation, and a more coherent overall composition of intricately stacked domes and semi domes centered upon one great central dome make Şehzade stand out as one of the greatest architectural achievements to be seen in Istanbul. 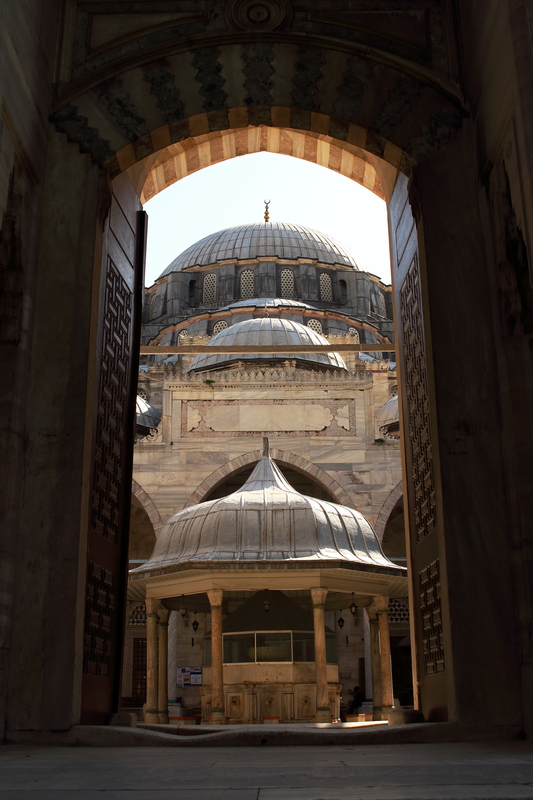 Şehzadebaşı also benefits from hiding in the shadow of its more famous and therefore crowded sister: Süleymaniye. 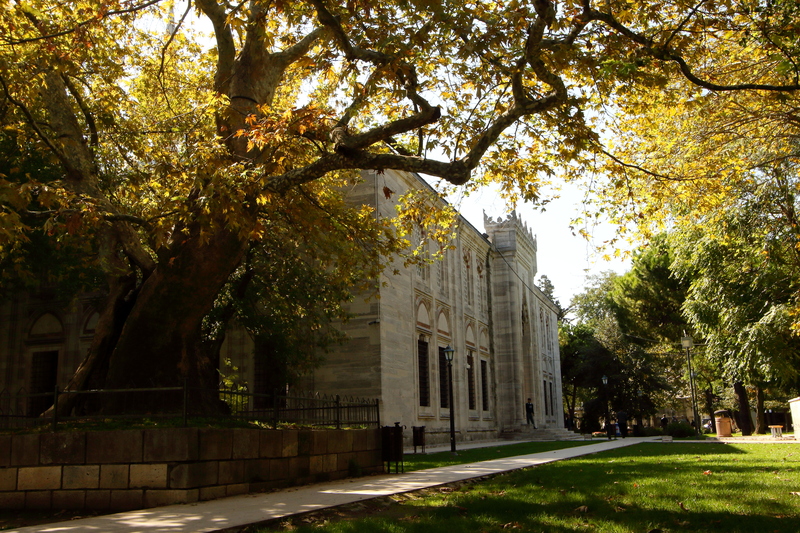 The fact that it is smaller, slightly further from the touristic center, and lacks a panoramic view means that Şehzadebaşı is comparatively tranquil set among green lawns and ancient plain trees. Şehzadebaşı, though similar to Süleymaniye, is different because is finished with an incredibly high degree of ornamentation, the most of all of the works of Mimar Sinan. As is usual there is an ornate fountain in the center of the courtyard, the hood of which was added much later. Unfortunately the hood blocks the view of the main entrance to the mosque and doesn’t allow one to see the beautiful doorway set below the layers of domes as was originally intended. While the hood of the fountain detracts to some extent, it matches the overall building much better than many of the other mosques of this period to have received similar additions. Following the Ottoman conquest of the city in 1453 various aspects of the Greek city were slowly replaced with Turkic, or Islamic institutions. One such example is the the pillar that marks the centre of the city. During the reign of Süleyman the Magnificent the city was measured and a dark green pillar used to mark the city’s centre from which distances would be measured. If you look closely at the exterior walls of the complex you can still see this pillar today. 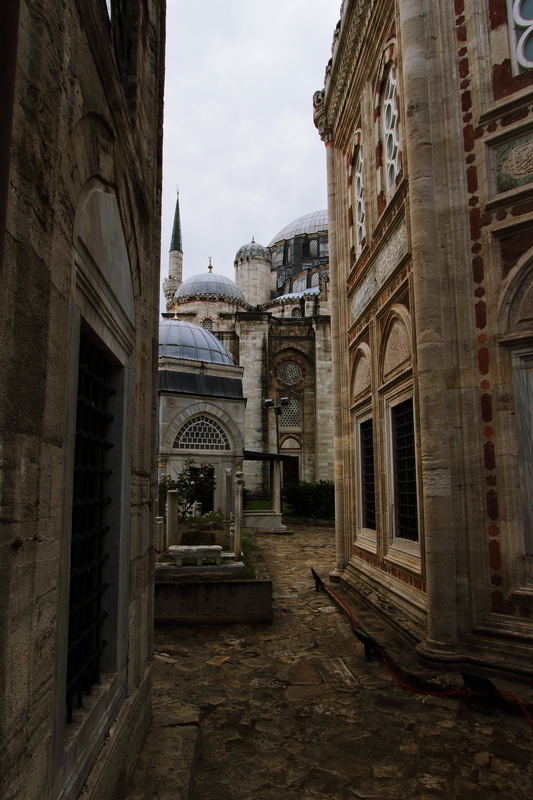 Make sure to wander the grounds of the mosque and see the madrasahs that surround it. Be sure to visit the ornate mausoleums behind the main body of the mosque as well. There is a gate in the back of the grounds (far side of the mosque from the main street) that leads to a little alley with a heavy arch over it at the far end, this is a part of the ancient aqueducts that brought water into the city. As Şehzadebaşı is in a very central location walking is not only possible but probably the easiest if you happen to be in the Old City already. It’s less than a 25 minute walk from the Grand Bazaar on Şehzadebaşı Caddesi and only about 10 minutes from Süleymaniye Mosque. By metro, exit at Vezneciler station or, by bus, take anything that goes by Şehzadebaşı stop and get off there. The mosque is on the main street next to a park and cannot be missed. As Şehzade is only a short walk from the heart of touristic Istanbul anywhere in the city will be convenient.